Last year I found a very interesting film at Library and Archives Canada (LAC). I was researching the topic of medicine and health at Expo 67, the Montreal International and Universal Exhibition, and started looking for the film that was shown in the Man and His Health pavilion. Lo and behold, something that looked the part was in the LAC collection, and I asked for a copy. The film was generically and ambiguously catalogued, probably because it has no credits of any kind — neither title nor creative. But I was working with the papers of the health and medicine theme directors at the Canadian Corporation for the World Exhibition, and I had the notes of their discussions with the filmmakers, so gradually I started putting two and two together. For Expo, Cordier and Palmer made a profoundly beautiful film shot in Montreal hospitals, and it caused a huge stir. The public was completely new to the kind of visual access the Expo film gave them to very intimate and bloody medical interventions like childbirth, C-sections, brain surgery and open-heart surgery, and people were transfixed — if they didn’t faint, that is. An average of 200 viewers a day keeled over — almost 15,000 of the 2.5 million visitors to the pavilion over the six months of Expo. Here’s one of my favourite moments that suggests the many winks and creative perspectives Cordier and Palmer worked into the movie with typical subtlety — a “heart’s-eye-view” that would have delighted Foucault, rigged up as a fleeting shot during an amazing short film of actual open-heart surgery on a 7 year old boy from Laval, Bernard Bayard by world-renowned cardiac surgeon Anthony Dobell and his team. The organ returns the medical gaze. Now, for the first time since the last day of Expo on 29 October 1967, the Canadian public will be able to see the film again: it’s being screened at the McCord Museum on Sherbrooke Street near McGill, at 6:00 pm on Thursday, October 1. This is a special public event in a dynamite-looking conference on the history of hospitals featuring lots of great scholars, being organized by David Wright and Daniel Weinstock of McGill University’s Institute for Health and Social Policy on October 1-2. I’ll be giving a short paper and slide show to explain the context in which the film was shown, but most exciting is that the director, Robert Cordier will be there to introduce the film and answer questions about making it. Please check out the conference and the special screening. So far, the Expo project has been full of great surprises like this. The fact that the film was found by me is itself something of a miracle in modern medical history, since I usually have problems finding even things that are staring me in the face in the archive. For whatever reason, I sniffed this one out, did due diligence and got lucky, not least because the archivists at Library and Archives Canada have been amazing to work with in verifying all the technical particulars about their holdings and coming up with a pristine screening copy. But the luckiest thing to come out of it was the chance to meet Robert Cordier and work with an artist of his stature and generosity of spirit. He was very receptive from the beginning to reviving the film through history of medicine opportunities, which turn out to be good for nurturing and fleshing out. The European Association for the History of Medicine and Health was kind enough to give me and M. Cordier a chance to screen the Expo medicine film for a small but appreciative group at the society’s recent conference in Cologne. 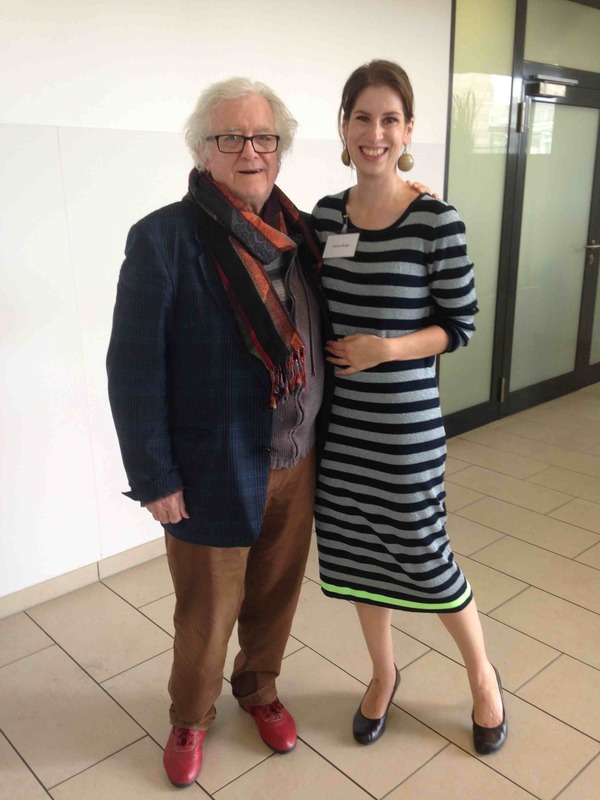 The film and Cordier were both big hits, and Robert was soon hobnobbing and generally “hiding the bin”, as the hipsters say these days, with other stars of the conference like Jessica Borge, co-recipient of the prize for best paper by a graduate student for “Brand Equity and the Commercial Contraceptive in 1960s Britain”. 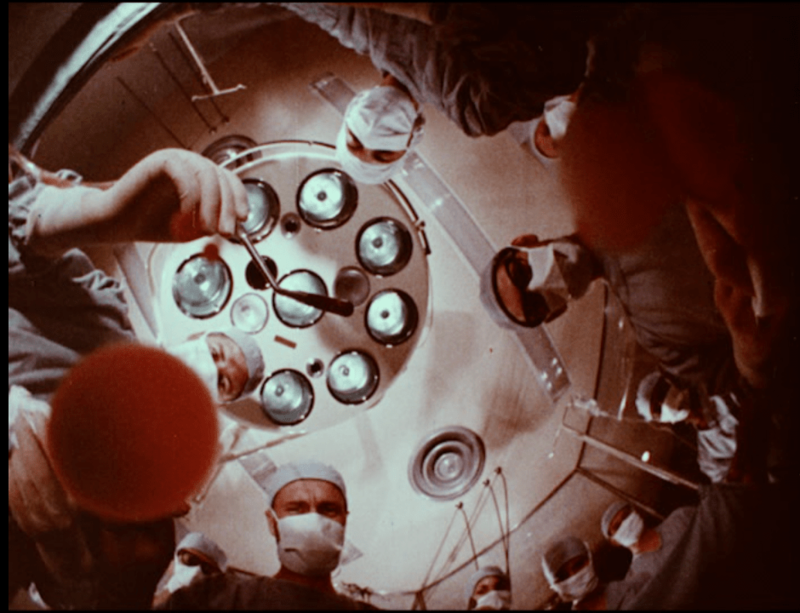 Given the leading role that McGill Medicine and its teaching hospitals played in the representation of medicine at the Montreal world exhibition, the Hospitals conference special event is the ideal venue for re-introducing the film to the Canadian public after 48 years. We’re delighted that others who were involved in the making of the film and the Man and His Health pavilion at Expo 67 will be in attendance, most notably, Dr. Michel Jutras, who was the assistant-director of the medicine theme and played a fundamental role in setting up the complicated film shoots in Montreal’s cutting-edge medical units. Please join us. It should be a lot of fun.